I am so honored and grateful to have been able to speak at the women’s marches in Portsmouth and Concord alongside so many other important women leaders like Senator Hassan who immediately created a Task Force to take on the seacoast pediatric cancer cluster and from Rep. Annie Kuster who passed a major veteran reform bill on veteran’s access to healthcare. Other women leaders who spoke include NH Senator Melanie Levesque, Tiffany Roberts, and young women leaders Ruby Carr and Shannon Jackson! 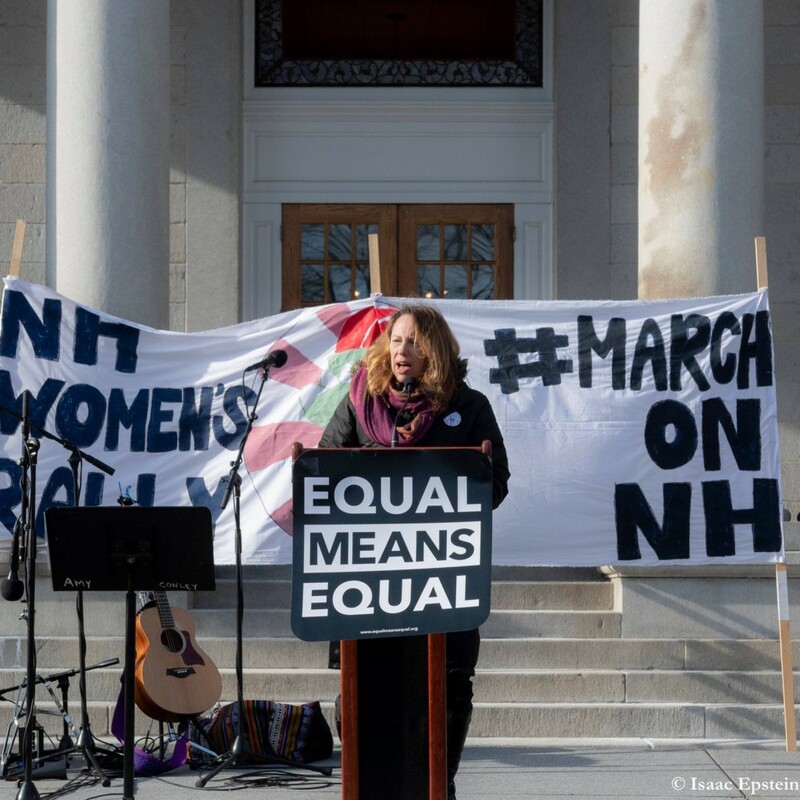 Former NH State Representative Mindi Messmer speaking at the 2019 Women’s March in Concord, NH. We have a lot to celebrate this year! 100 women were elected to Congress and 179 women ran for State Representative or State Senate in NH. We have the most diverse Congress in history. Here in NH, we had an unprecedented number of young people and women run for office including the first ever two transgender people elected to the NH House of Representatives. We have to take some pause to congratulate ourselves for our hard work. In a year of pushing up on the glass ceiling, there is more work to be done. As an environmental scientist for 30 years, small business owner, I know what it’s like to smack your head on that glass ceiling. As a former House Rep and Congressional candidate, I know how important it is to be able to communicate science and have scientists involved policy-making. Throughout my work in the state house and political campaigns, I have talked about the importance of climate change and drinking water protection. The IPCC tells us we must take swift action to get off fossil fuels in the next 12 years. We must fight the continual onslaught of fossil fuel projects in NH and across the country. We need federal and state agencies that are not run by coal lobbyists or industry but instead protect our environment and public health. We want state and federal agencies that don’t just collect permit fees but make the polluters pay for the destruction they cause and the people who get sick. NH women have the highest rates of breast cancer in the country, our state has the highest rates of bladder cancer and esophageal cancer in the nation. Our kids have the highest rates of cancer in the nation and we have children dying at high rates from rare cancers and brain cancer on the seacoast. Most of these cancers could be avoided with stronger environmental protections. 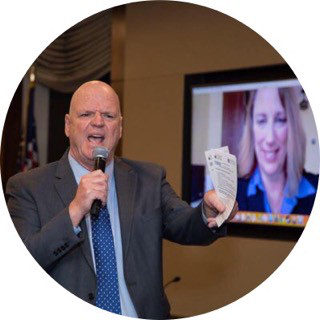 As Bill Couzens of Less Cancer says, “cancer should never an expected stage of life.” It’s not pleasant to talk about these problems but we have to raise awareness so we can find solutions. The first step is to acknowledge there’s a problem. There’s another problem — our President’s ability to unilaterally strike with nuclear weapons. Do we want someone so impulsive to have that authority? And do we want to spend almost $2T on our nuclear war chest when we have 30M people without health insurance in our country? When women sit at the table, we bring a valuable and absolutely necessary perspective to the discussion. We especially want to be at that table when important decisions are made about our bodies, our healthcare, and our children! Women downplay their accomplishments and abilities, and so we have to instill confidence in women of all ages that their voice is critical. When women run they are criticized for their hair, their clothes, whether they can be a mom and an elected official, how we speak — while men mostly don’t. We must support them before during and after their run. When women who are not career politicians run for office, they are sometimes more impacted by loss. We have to grow a bench of women who can take a seat not just at the table but at the HEAD of the table. Thank you, everyone, and continue to spread your passion by stepping up and stepping out to let your voice be heard! Women at the Head of the Table was originally published in Less Cancer Journal on Medium, where people are continuing the conversation by highlighting and responding to this story.